Mojitos are a refreshing Cuban cocktail made with mint, sugar, lime juice, and rum. In this version, I've replaced the rum with brown sugar shochu, which has a sweet, earthy flavor that makes it a delicious substitute for the rum. 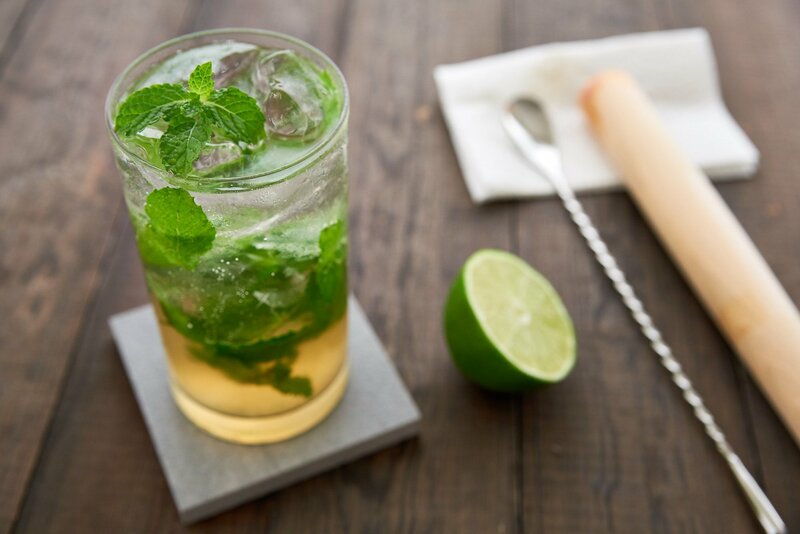 Whether you’re trying to invoke a hot Cuban night at a poolside party, or you’re looking to awaken guests’ palates before a big holiday dinner, mojitos are the perfect sipping cocktail for any season and any occasion. With the sharp tang of lime and refreshing zing of mint rounded off by the mellow sweetness of raw sugar, it’s a simple mixed drink that tastes balanced and refined. In this version, I’ve swapped out the rum for kokuto shochu (brown sugar shochu), which is a marvelous spirit made in the southern Amami islands of Japan. Like rum, it’s produced with sugarcane byproducts, but unlike rum, it undergoes two stages of fermentation, with the first stage made with rice kōji. The resulting mash only makes one pass through a traditional pot still, which helps it retain the nuanced flavors of the unrefined brown sugar. Because kokuto shochu is typically 25% Alcohol By Volume (ABV), as opposed to most spirits which are 40% ABV, I’ve doubled the amount of shochu added. If you were to make this with rum (or a higher ABV shochu), be sure to reduce the amount of spirit accordingly. Like most cocktails, mojitos are as much about the mixing technique as they are about the ingredients and the most important thing to remember here is to be gentle with the muddler. I know it’s tempting to pound the living daylights out of the mint to extract as much flavor as you can, but pulverizing the mint will lead to little flecks of mint that get stuck in your throat as you sip this smooth libation and it can also give it a bitter flavor. Check out the video below for the technique, and enjoy! 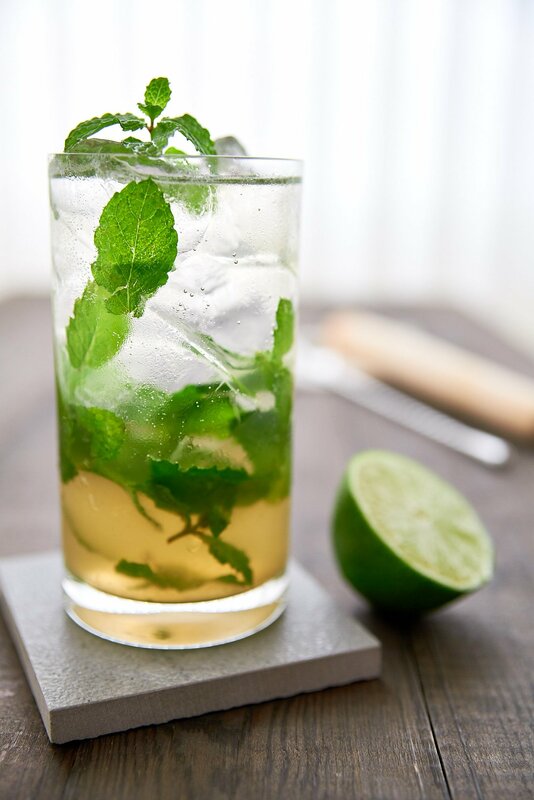 Put the mint, sugar and lime juice into a 14-16 ounce highball glass. Use a muddler to bruise the mint, but do not pulverize it. Add the shochu and stir it. Fill the glass with large ice cubes and then top it off with club soda.